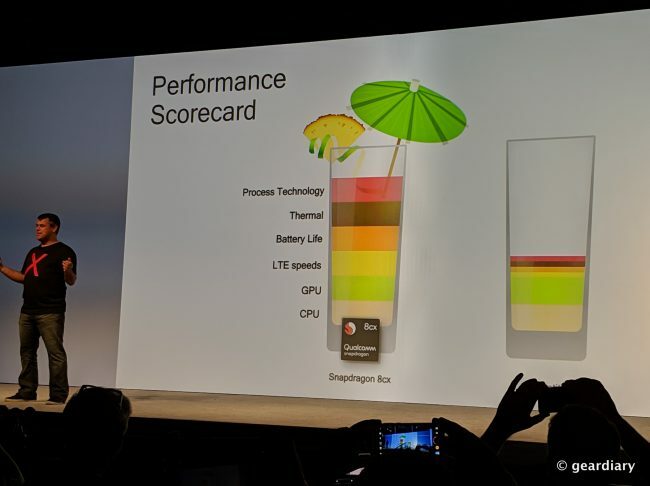 At this year’s Qualcomm Snapdragon Summit in Maui, several major announcements have been made. They were just the tip of the iceberg, however. 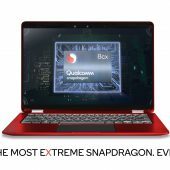 Today the new Qualcomm Snapdragon 8cx Computer Platform, the industry’s first 7 nanometer PC platform, has been revealed. It is clear that Qualcomm is ready to shape the next generation of “always on, always connected” computing. The Qualcomm Snapdragon 8cx Computer Platform was created from the ground up in order to usher in the next generation of personal computing. It delivers new features, even thinner and lighter designs, that will make new form factors possible in the always-on, always-connected devices. The Snapdragon 8cx leverages many of the innovations we have previously highlighted. It has the new Qualcomm Adreno 680 GPU, which is the most powerful GPU ever designed by the company. It doubles the memory interface from 64 bit to 128 bit wide in order to deliver greater performance than ever. It looks impressive on paper, but the real impact will be seen when it makes its appearance in devices, letting consumers enjoy an enhanced experience and cutting-edge graphics when creating and consuming content. That is expected to happen sometime in the third quarter of 2019 when the Snapdragon 8cx is expected to begin shipping in commercial devices. With performance and battery life as our design tenets, we’re bringing 7nm innovations to the PC space, allowing for smartphone-like capabilities to transform the computing experience. 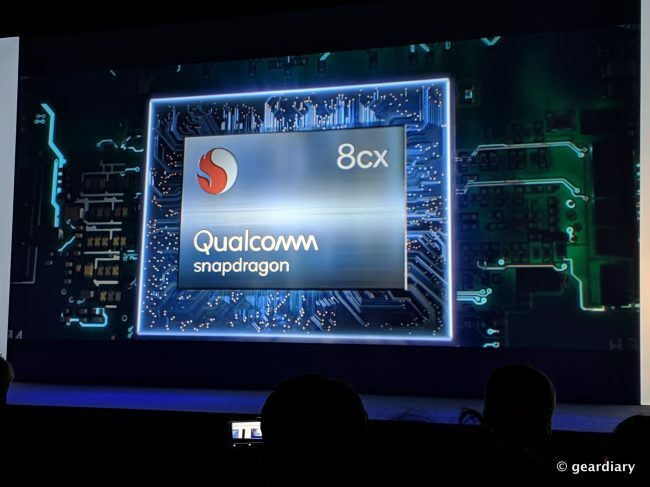 As the fastest Snapdragon platform ever, the Snapdragon 8cx will allow our customers to offer a powerful computing experience of multi-day battery life and multi-gigabit connectivity, in new thin, light, and fanless design for consumers and the enterprise. 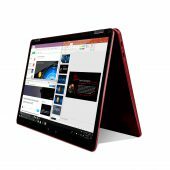 The Snapdragon 8cx will have the first Windows 10 Enterprise certification ever in a Snapdragon platform. This will let IT managers reduce the complexity of managing today’s modern IT device environment while maintaining the security they require. The Snapdragon 8cx also features Qualcomm’s Quick Charge 4+ technology that delivers super-fast charging on the go. The combination of low power consumption and rapid charging is ideal for the professional on the go. The Snapdragon 8cx also features Qualcomm’s Aqstic audio technology. This suite of technologies includes advanced audio codecs, smart power amplifiers and a suite of advanced audio and voice software technologies. The result is that PCs built on the Snapdragon 8cx platform will deliver high-definition Bluetooth wireless audio. After years of computers offering mediocre audio, this will be a welcome change! The impact will not, however, be confined to audio consumption as it will also increase the access to, and performance of, voice assistants like Cortana and Alexa. The Snapdragon 8cx also supports second generation USB 3.1 over Type C and third generation PCI-E. This means consumers will be able to connect up to two 4K High Dynamic Range (HDR) monitors and near limitless peripherals. 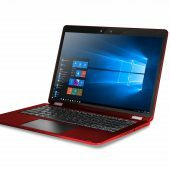 Yes, with this new computing platform the days of having to choose which peripheral devices to connect to your computer are gone. The computers will be smaller, lighter but more connected than ever. 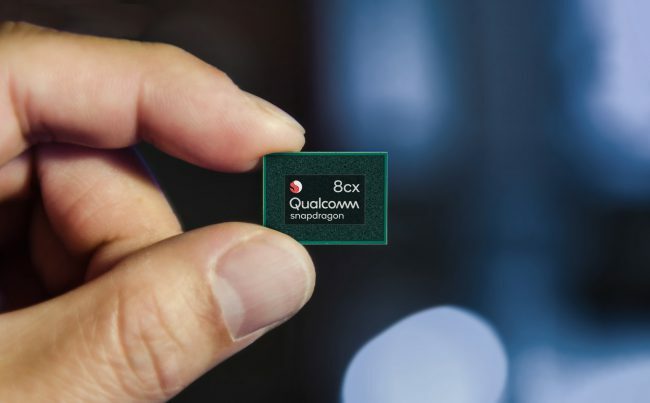 Speaking of connectivity, a Snapdragon 8cx enabled device is a key part of the road to 5G. The Snapdragon 8cx features the Qualcomm Snapdragon X24 LTE modem. It will extend the capabilities of Gigabit LTE thereby delivering faster-than-ever speeds. In short, as the Snapdragon Technology Summit comes to an end Qualcomm is making clear that fact that they are not only ready for the next generation of mobile computing but they are poised to lead the way. I can’t wait to see the new devices built on the Snapdragon 8cx Computer Platform! 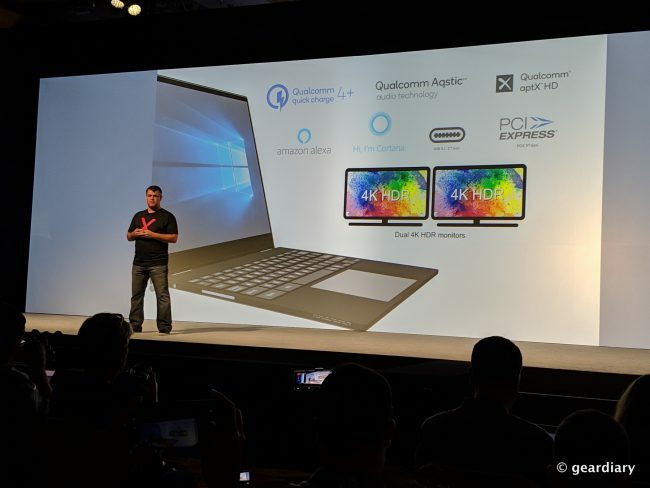 You can watch the Day 3 Keynote from the Qualcomm Snapdragon Summit here.